As your local orthodontist, Vancouver patients can feel confident their smiles are in great hands when needing common treatments such as braces. Our convenient location offers Vancouver orthodontist patients in need of braces care or early intervention treatments great care nearby and easy to reach. We have the ability to treat anyone of any age, but commonly see patients between 9 and 14 years of age. Underbites – our office recommends seeking early treatment for underbites so that our corrective measures can grow with the child, retraining the bones to provide the right structure for an aligned bite. Crooked teeth – If adult teeth look like they will be a problem as they emerge, we can provide early treatment to direct the teeth where they need to be. Crossbites – Like an underbite, our Vancouver orthodontist recommends seeking treatment for crossbites sooner rather than later so that as the bones develop, they won’t become a problem later on. What other common treatments exist? Orthodontia care isn’t just about braces, but they do play a large role in our office. 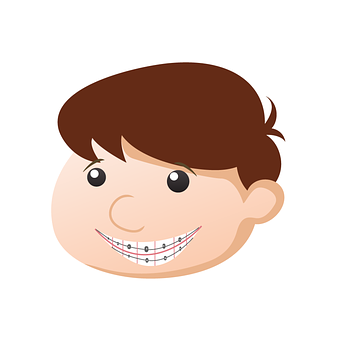 Braces can help people of any age get the straight smile they want. Our office also treats spacing issues, bite problems, and jaw problems. The first step in seeking treatment at our Vancouver orthodontist office is a consultation. After examining your oral cavity and reviewing your X-Rays, we can talk about a treatment plan that will get you the smile you want. Will I Need a Tooth Extracted? It is not uncommon to extract baby teeth for orthodontia treatments. If X-Rays show that permanent teeth are hindered by a baby tooth, we may recommend extraction. Removing the baby tooth before it has a chance to fall out naturally gives your mouth the space it needs for new teeth. This process is common. It prevents adult teeth from pushing through at an abnormal angle which then results in the tooth overcrowding others. You and your family’s orthodontia care are in the best hands with our Vancouver orthodontist team. We love creating new smiles, and giving our patients the best possible attention for a great smile. You can learn more about our common practices and offerings on our Facebook page or by calling to schedule a consultation with our staff.